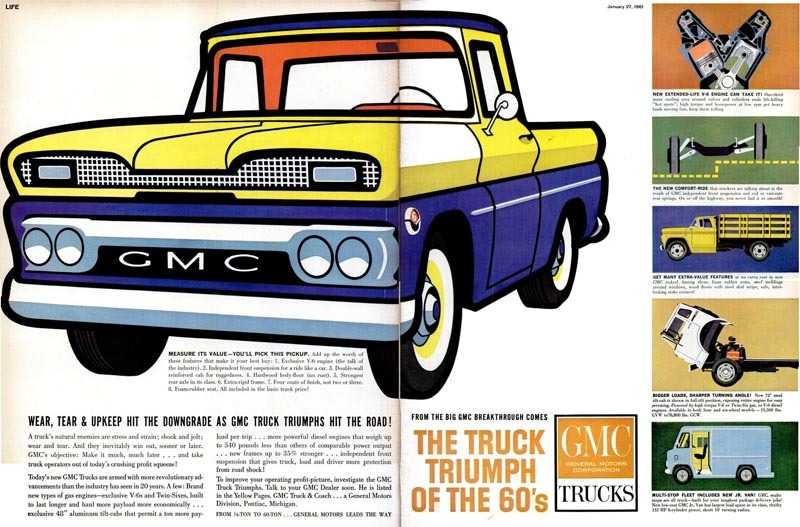 Back in the stone age, around the time I was born (the 1960s), GMC ran this bold, bright, clean, simple-yet-elegant ad campaign for their line of trucks. 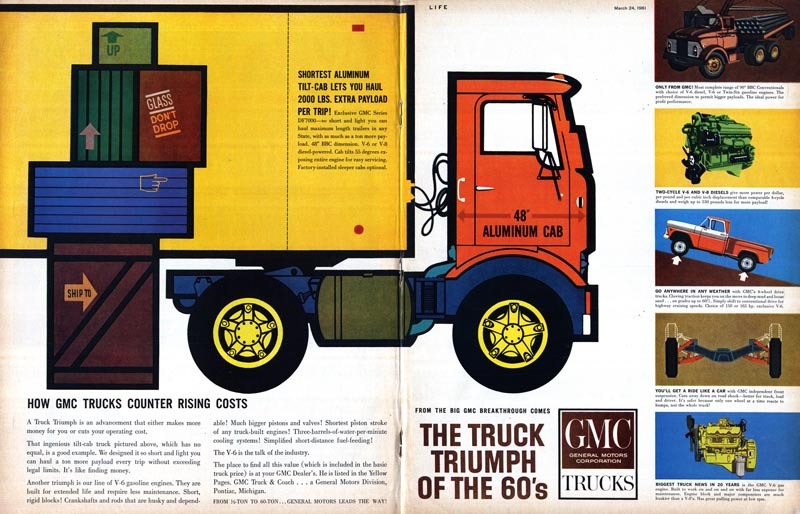 I don't know if this is the way you sell trucks, but from a graphic arts perspective, I love it. 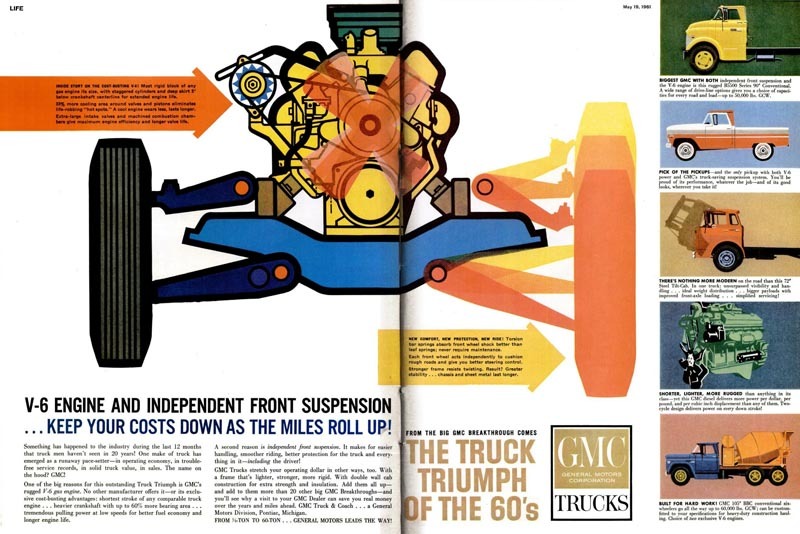 In the realm of automotive advertising, I doubt you'd ever see a daring campaign like this today. For those of you born in the the years A.A.I. (After Adobe Illustrator) let me asure you, these were done by hand by actual human illustrators working at drafting tables with ink, technical pens, rulers and illustration board. 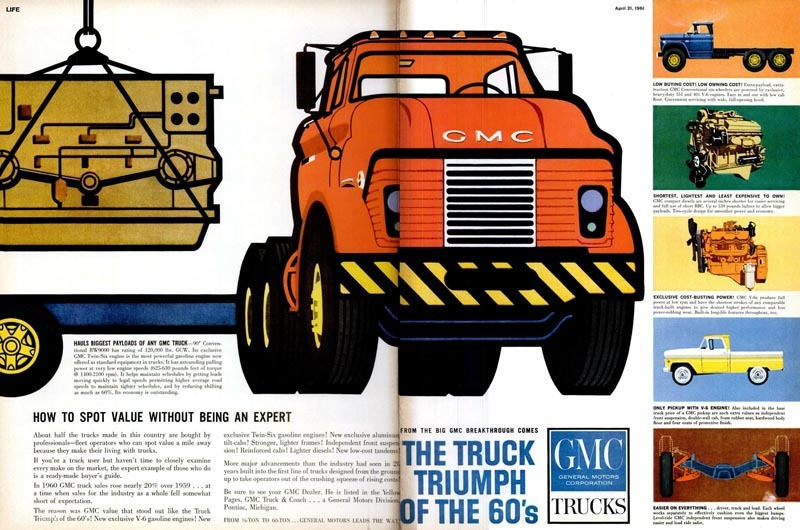 At that time there was so much demand for this type of work - so many full-time jobs for Technical Illustrators - that when I attended art college in the early 1980s, we actually had Technical Illustration as one of the areas of study you could choose to specialize in. Little did we know all those rulers, tech pens and Linetek illustration board (and all those technical illustration jobs) would be gone just a decade later. All that remains to remind us of what once was is the evidence you see right here. Wow... that stuff is bold and beautiful. 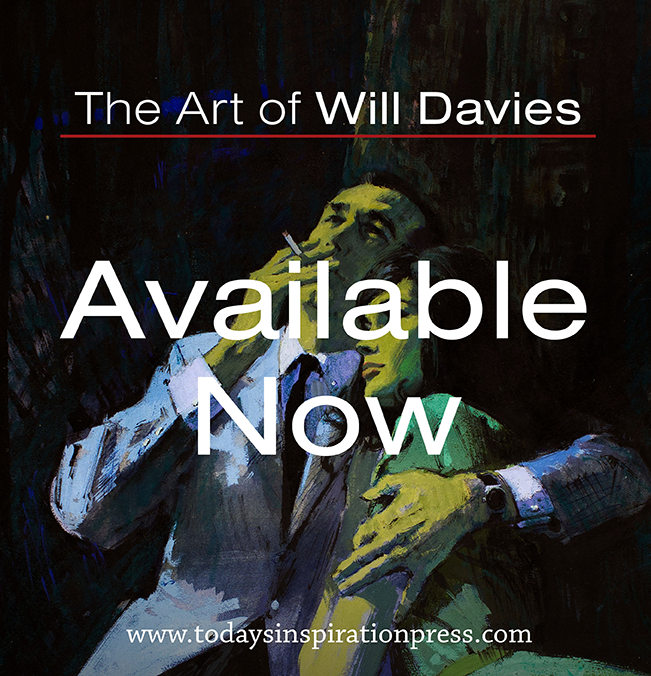 It's especially nice to have both the physical and the digital tools at your disposal. Nothing makes you appreciate good digital design more than knowing how things used to get done. I maybe biased but I think the whole demise of magazines came from the cost cutting use of photography. I get a whole different vibe from good illustration and design that I don't get from photography. There is a controlled degree of storytelling that glamorized the product or heightens the drama of a story that immediately draws me in. The graphic purity gives these images industrial strength. 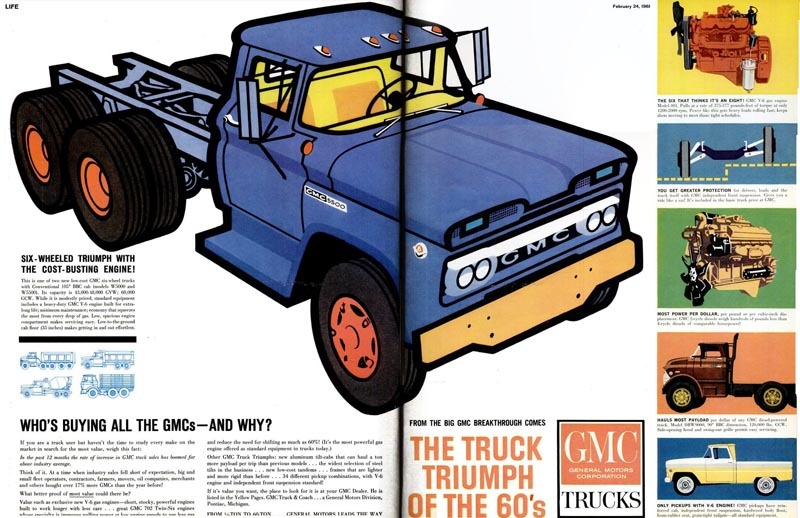 Of course they're trucks, and the graphic look backs up the message. Having worked with automotive subject matter, makes me painfully aware that the odds are most clients would not be able to make the mental/visual leap to doing this in a contemporary situation. A few maybe, mostly it's photo based market for the promotion of automotive products.